JAG lawyer Sean Drummond has gotten himself in way over his head-with a case that challenges his deepest fears and a co-counselor who challenges just about everything else. 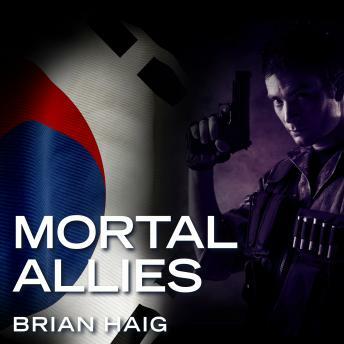 Assigned to South Korea as an advocate for a gay officer accused of brutally killing the son of a South Korean war hero, Drummond is teamed up with an old law-school nemesis. Katherine Carson is a curvy, liberal, William Kunstler-like attorney with a reputation for manipulating the media on behalf of her mostly gay clients. Drummond is as distraught to be working with a woman who knows how to push all his buttons as he is to be defending this client. However, it's just this lack of political correctness that makes him the one man the CIA can trust with its disturbing secrets, and Drummond quickly learns that what appears to be an open-and-shut case is really just the top layer of a deep conspiracy. Really enjoyed this book. Haig is a very technical writer and Sean Drummond is a great character.